Coloring: Black and white engraving. Comments: Produced to be bound into the set, this map shows Robert's route and the location of each sketch made along the way. Becuase many of the place names used in the lithographs are archaic or have changed, it is sometimes difficult to find the exact locations of the sketches on modern maps. Price: $125, including archival cleaning. 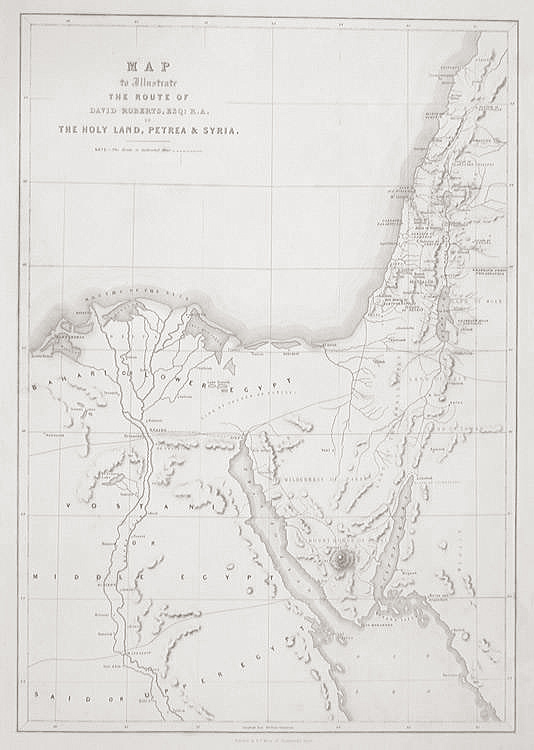 Title: Map of Roberts' Route in the Holy Land. Condition: Fine. Some foxing, easily removed by cleaning.